According to the Business Investor, the Global Test Automation Market is likely to expand at a robust CAGR of 15.4% by 2025. Test Automation with its software testing processes, frameworks, and test suites have been adding tremendous value to the software development lifecycle. Today, almost all testing processes involve substantial levels of automation, with an objective to bring speed and ensure quality. The efficiency that test automation brings to the table is very much needed for Mobile Testing. Apart from accelerating the testing cycle and reducing the turnaround time, automated testing helps to cut down the errors that could occur due to manual testing. The market is flooded with various tools for automation – Open Source as well as Licensed. Every tool comes with its unique features and strengths to add value to the testing process. However, it is very much critical that the team understands the testing objectives before leveraging these tools. 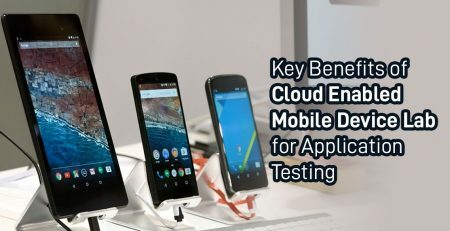 Mobile Testing is a business-critical area and teams are working towards making it efficient by including automation strategies. With a wide range of automation tools there are definite chances of misjudgement in selecting the right tools and building a relevant automation strategy. Hence, it is very much necessary to eliminate the flaws from the test automation strategy for Mobile Testing way ahead in the testing cycle. Test Automation involves tremendous investment in terms of automation tools, frameworks, resources, and training to derive the desired outcome. Hence, it can be absolutely disappointing and not-so-cost-effective if the expected results are not delivered. Check out these key points that you can consider while building your Mobile Test Automation strategy. Once you are clear on your scope of testing, almost half of your job is done. Hence, it is important that you do a thorough research of the software product that you are about to test. It will help you to determine the tests that you have to conduct and automate. You can further formulate the requirements to the automated tests and decide on the automation tools as well. In this way, your efforts are not lost and you continue to derive higher RoI and maximize test coverage. After the initial phase of research is done, it’s time to decide on the automation tool that you must consider. It has to be in line with your requirements, hence, it’s important that you study various tools in the market and make an informed decision. Once the tool is decided, it is absolutely critical to get consensus from your team that is going to work on the automation tests and execute the project. Ultimately, everyone needs to stay in sync with the capabilities of the tool to deliver the expected results. Ultimately, you cannot skip the Mobile Testing requirements. The automation testing tools and platforms should be compatible for testing mobile applications across various devices and configurations. It is recommended to go for tools that are compatible for Mobile Testing and are not generic for both the web and mobile applications. Applications have to be tested across mobile operating systems such as Android, Apple iOS, Blackberry OS, Windows Phone, Symbian, or any other emerging OS. Hence, keeping your mobile-specific needs into perspective is mission-critical! If issues related to automation have to be resolved, it is necessary for testers to have complete control over the test environment. When it comes to leveraging the test environment, ensure that your test environment is well maintained and the device under test is well-managed, controlled, and secure for conducting automation tests. There are some critical factors that you must consider while managing the environment – Devices, Configurations, Network Stability, Security loopholes, to name of few. 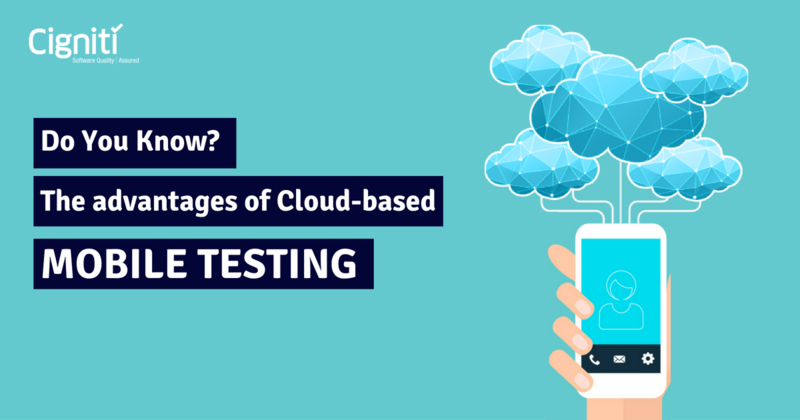 Mobile Test Automation by leveraging the test environment can be effective, only when various factors within the environment are well-managed. After eliminating the flaws within the test environment, the testers and developers must answer some basic questions that can help them to optimize their efforts. In this way, both testing and development teams can align their activities. These guidelines and checklists must answer questions such as, What to automate, platform to test, the best practices to consider, approaches to consider, kind of tests to incorporate, and much more that could be specific to the project at hand. A mobile application can go through a number of challenges to deliver the expected performance and stay competent. Hence, while planning your automation strategy, be sure to create scenarios that could challenge the performance of your application. For instance, a Big Sale Day for an ecommerce application can result in high traffic, which might affect the application’s performance. Once you have such scenarios in place, it becomes easier for the testers to prioritize the tests and select relevant tools for the project. While conceptualizing these tests it is equally critical to keep your audience into perspective. It will help you to take off most of your flaws from the automation strategy, bringing in more relevance. Cigniti’s Mobile Testing CoE provides access to a wide range of testing services, tools, and mobile device lab. We have experience in providing a host of tests for Mobile devices such as Interruption, Memory, Accessories, Performance, User Interface, Compatibility, Network Type, Installation, Upgrade, Drive, Battery, Performance, Functional Testing, Carrier Testing, and Geo-Fence. Connect with Cigniti’s Mobile Testing experts have strong expertise in testing various mobile apps – native, web, and hybrid, and keep themselves abreast with the latest methodologies, mind maps, and checklists based on platform updates. 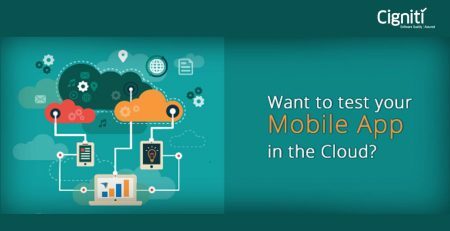 Want to test your Mobile App in the Cloud?